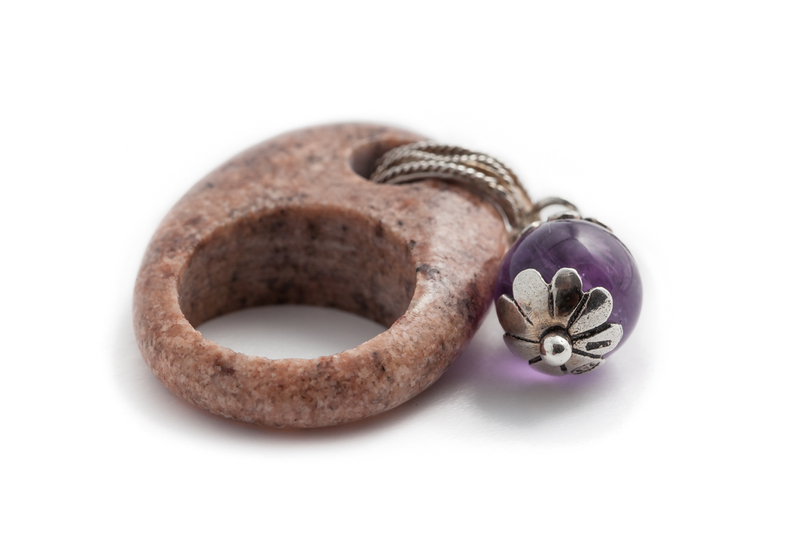 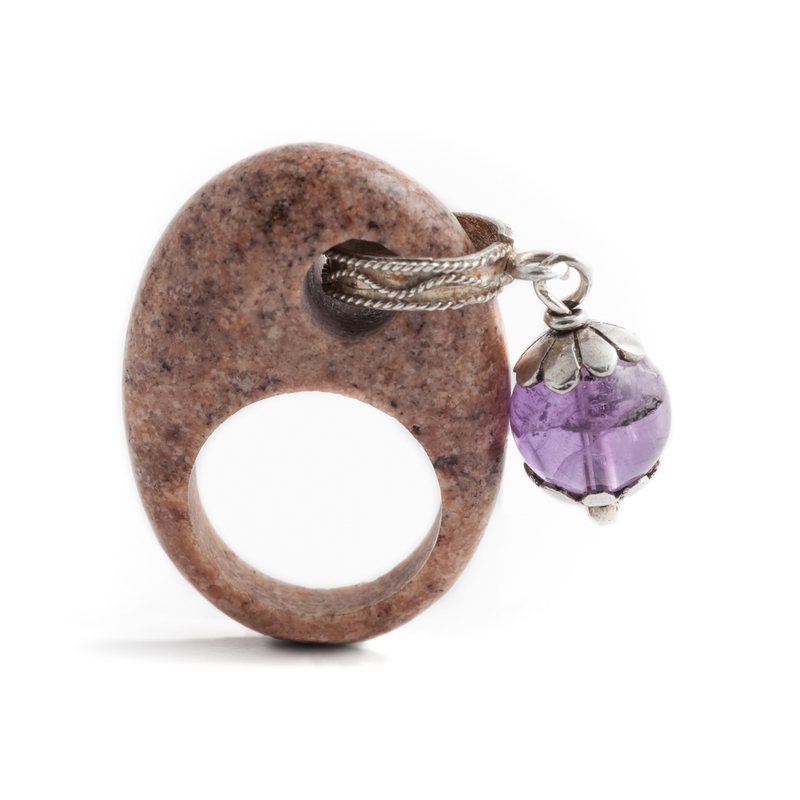 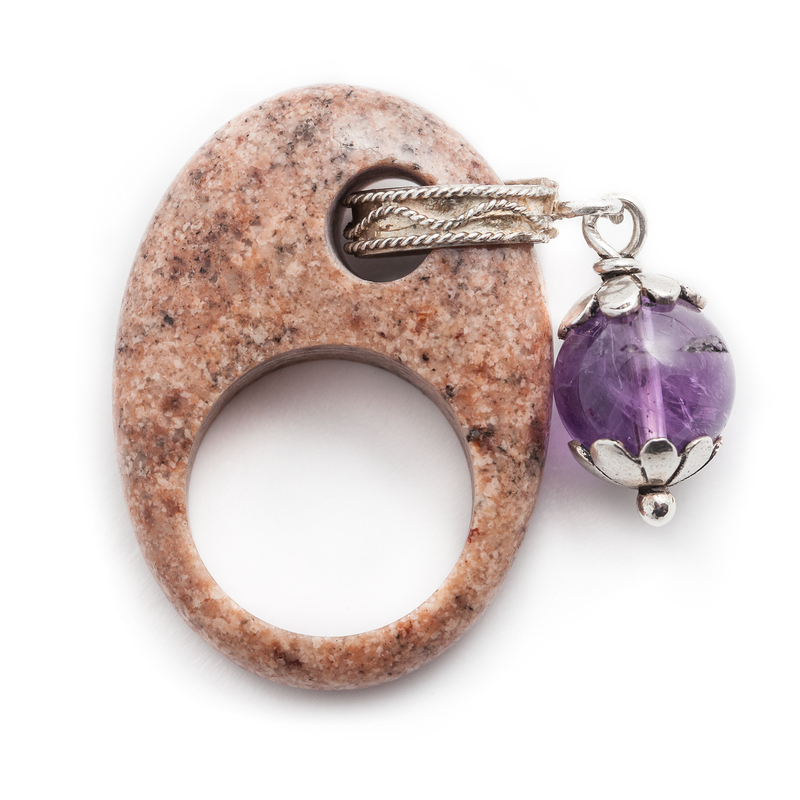 Pink granite, silver and amethyst ring. 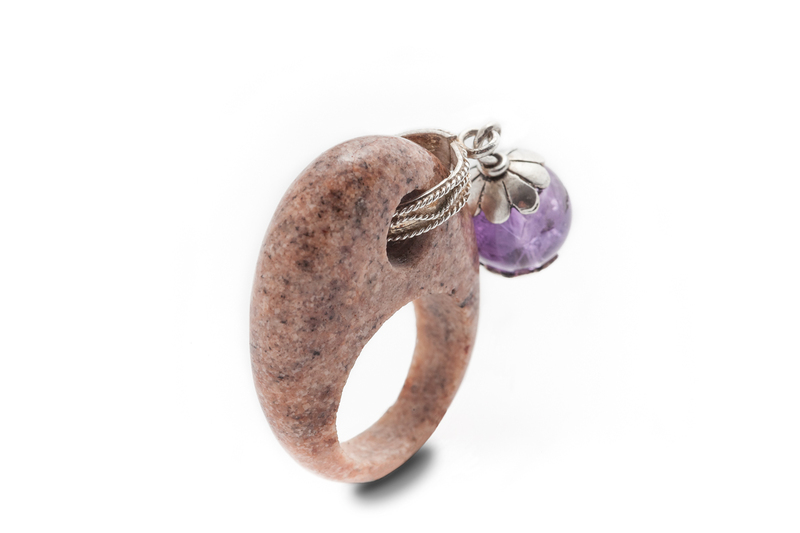 The jewel is made of the typical local stone, that is unusual in jewellery, worked according to the most sophisticated cutting techniques usually implemented in the carving and polishing of precious stones. 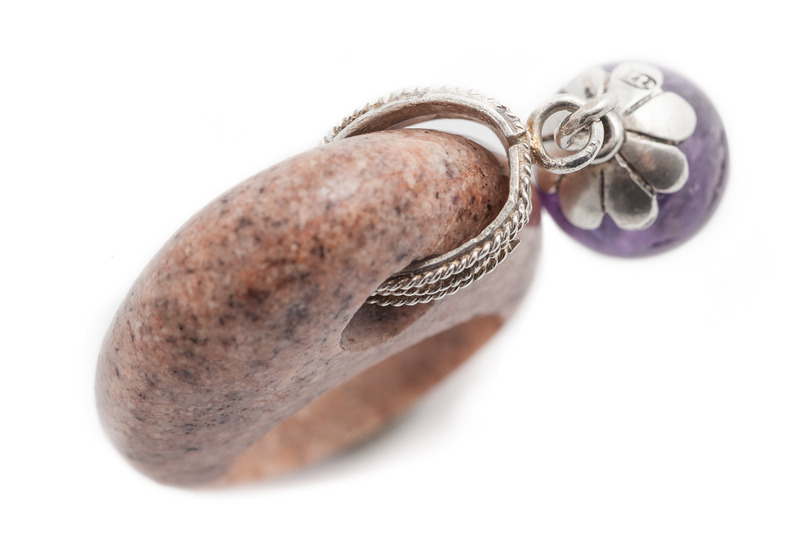 The small silver element recalls the traditional Sardinian silver filigree, while the amethyst creates a nice play of light, making the jewel even more precious.